Between the ages of 5 to 7, children’s cognitive, social and emotional skills are developing at such a pace that games, especially cooperative ones, are not only fun, they are beneficial. Most children have mastered the ability to share and take turns; they have attained some basic vocabulary and can identify and sound out written words and count numbers. There are a variety of games for children to enjoy and also learn from. Card games are classic, timeless fun. Crazy eights involves number, suit and color recognition. Seven cards are passed out to each player and the remaining cards are placed face down in a pile, with the top card flipped over next to the pile. 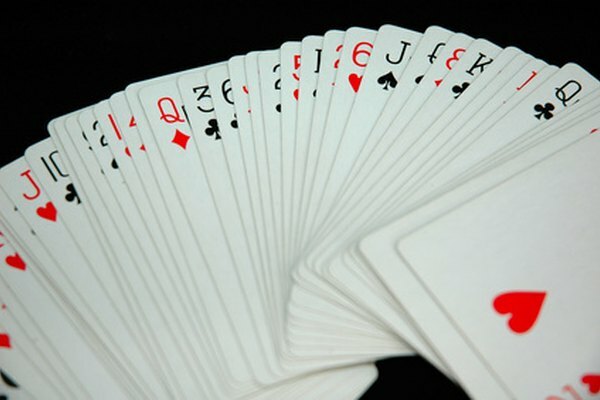 Players are to take turns around a circle, matching either the number or suit of the top card. The eight card in any suit is a wild card and can be used to change the suit. Play continues until the first player has run out of cards. Fun for the whole family, this game is made up of teams of two or more who must complete randomly drawn activities listed on game cards (performing crazy stunts, drawing, sculpting out of clay) in order to move around the board and reach the finish line first. Hilarious and filled with tasks that enhance learning and development, children from the age of 5 and up will enjoy it for hours. Cranium is a Hasbro product. A great interactive game for kids, in 3D for added excitement. The main focus of the game is a scavenger hunt, where players solve riddles in different settings in order to find specific objects. Solving the puzzles helps with cognitive development and a few activities involve cutting out objects using the controller-- great for fine motor, hand-eye and visual acuity skill building. One or more players can play. Wii is a Nintendo video game product. Getting the kids outdoors and playing a game where they can run around builds large muscles and motor skills. Color guard is a fun twist on the generations-old tag. Use a large bucket or pail and place colored balls or plastic eggs (one for each child playing) inside it. Select a child to be the “color guard” and have them stand to the side of the bucket and close their eyes. The other children will each take one colored ball or egg from the pail. The color guard yells out a color, opens his eyes and chases the child with the colored ball/egg he yelled. The child with the ball/egg runs and tries (by throwing, dropping, any means) to get the ball/egg into the pail. If the child gets his egg or ball into the pail, the color guard must call out another color. Anyone who is tagged or has his ball/egg caught by the color guard is out. The last remaining player becomes the color guard.